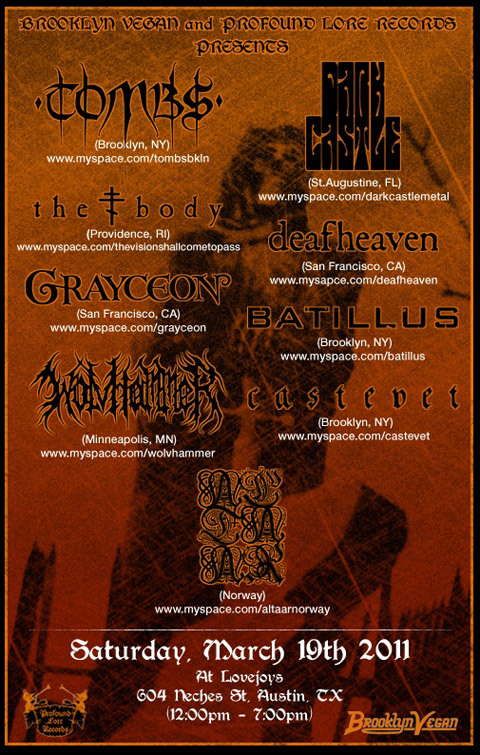 Brooklyn Vegan along with Profound Lore Records have announced another SXSW metal day party (BV has nine total parties this year). This time the event is free and takes place Lovejoy’s on Saturday March 19th. Lineup and more after the jump. Lovejoy’s – 604 Neches Street – Noon – 7 p.m.